We provide a complete emergency service and have done so since 1979. Our shop in Walkinstown cuts one of the largest ranges of keys in Ireland using state of the art cutting machines. We stock all makes of UPVC Locks and Door Locks for the home and commercial world. 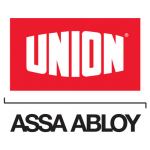 We are authorised dealers for Mul-T-Lock, Abloy, Chubb, Yale, Union, Burg and Abus. The days are numbered for the traditional key and lock, electronics are being combined with traditional mechanical keys to offer Hi-Security locking and access control all in the same key. When you add in WIFI technology you have a recipe for the perfect flexible locking solution. 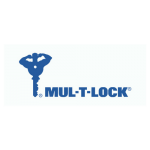 The possibilities are endless with ASSA, Abloy and Mul-T-Lock’s new EDS “Electronic Door Solutions”. Crothers Security offer the most complete security package available.